That is what Josh calls it. He told me today that if we weren't together he probably wouldn't spend his money there. It's a good thing he has me. While he was looking in the Reebok store I went over to the Bath & Body Works outlet to see what they had. 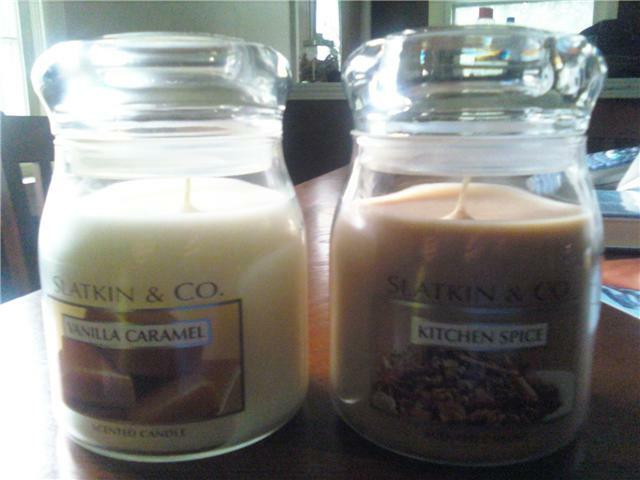 These candles were originally $17 but were 75% off, so I got them for $4.25 each. Steal. They're huge candles. 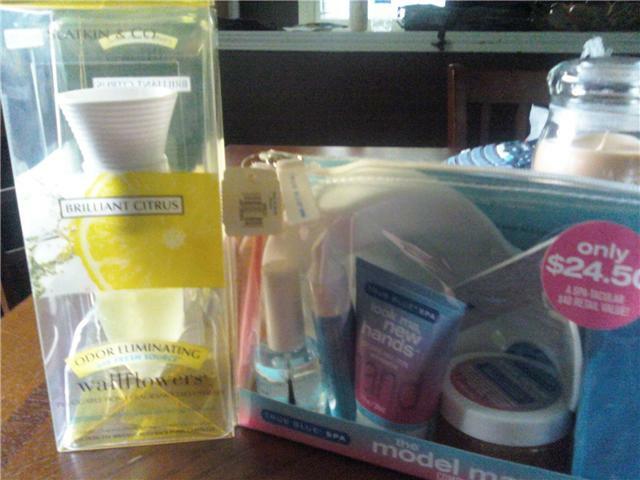 The Wallflower was marked down to $4.99, and the mani set was $6.12, marked down from $24. I bought two of those and am going to use them for game prizes at Hannah's shower next month. I thought it would fit because they're blue, but don't scream BABY! My total purchase was $27.53. Not bad. If you like Bath and Body Works, you can get 20% off a $25 purchase until July 5 by using the code: 20SALE at checkout. If you're more of an in-store shopper click here for a printable coupon.